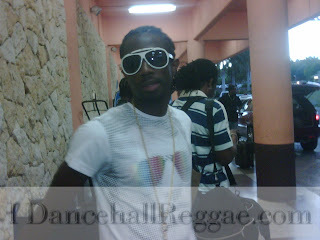 iDancehallReggae.com::Caribbean Lifestyle Media::: TIDBITS: CHINO RECORDS JAPANESE VERSION OF FROM MAWNING! TIDBITS: CHINO RECORDS JAPANESE VERSION OF FROM MAWNING! Caribbean Lifestyle Media-Chino, no stranger to us and the Dancehall/Reggae world recently created a stir in Japan with his Japanese version of "From Mawning ". The Japanese market is hot commodity for those who can break through. This new version of his hit will be included on his album to be released in Japan titled "Never Change". Chino told us, "Right now I'm trying to be as meticulous as I can and work as hard as I can to get to the point where when I'm older I can look back and say I definitely made a great impact on Reggae and Dancehall music. So hearing that the songs are continuing to do really well in the Japanese market is something I'm definitely happy about. My friends and fans in Japan can look out for me soon really soon and for the release of the album. Then right after that I will be heading to the US for the release of the US album."